SOS Home Systems has been proudly installing home security and alarm systems in Peabody MA and the rest of Eastern Massachusetts for over 35 years. Being a primarily residential and rural town, Peabody MA residents rely on home security systems that notify the authorities as quickly as possible. Whether it be a burglar alarm or fire alarm, the installation of such systems is important to the security of your property. 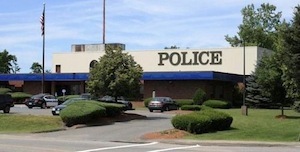 Providing a full range of security systems and monitoring in Peabody, MA has allowed SOS to familiarize themselves with the town and its people. SOS also installs leading central station security monitoring systems with Rapid Response monitoring, as well as security control integration with Total Connect monitoring. You will have the ability to monitor all of your security and alarm systems from a Smartphone, table, or computer. Home security at your fingertips. For a limited time only, request a Total Connect Security System and use coupon code KEYFOB12 to receive a free wireless key fob for your security system (a $125 value)! Offer available while supplies last. SOS Home Systems is locally based in the Peabody MA area, and offers unparalleled home security system services and support. With a priority on safety, SOS Home Systems ensures the complete functionality of every home security installation. SOS does it all from complete perimeter security systems and motion sensors, to exterior camera recording. Using only the most advanced home security technology, SOS has partnered with Centra-Larm Monitoring Monitoring to provide customers with 24/7 support and the fastest response time available on the market. When going with a home security system in Peabody MA installed and serviced by SOS Home Systems, you can rest assured that you’re getting the best security system possible, that even operates when the power goes out. Did you know that some alarm companies delay alarm signals for up to 4 minutes because their systems are prone to false alarms? To SOS alarm systems this is simply unacceptable. When it comes to your home alarm system, there should be no transmission delays when relaying your home’s SOS. Whether it is intrusion, smoke, heat, or any other trouble signal, SOS will send your emergency instantly to the monitoring station. SOS Home Systems understands that your family and property are the top priorities in life. We work rigorously to ensure that you have the peace of mind in your home and office that you deserve. Our Total Connect security systems are some of the most versatile systems available on the market. You will have the capability of arming/disarming, streaming live video, receiving text/email alerts, and much more from your computer, iPhone or tablet. We provide the necessary installation and maintenance of your alarm system to ensure that it is always working properly. With top of the line security systems come the need for an experienced and efficient security monitoring service. To provide that service, SOS Home Systems is partnered with a premier central monitoring company, Centra-Larm Monitoring. Centra-Larm is the leader in home and office security monitoring in Eastern Massachusetts and the North Shore, MA. Our 24 Hour security monitoring server offers you the comfort of knowing that your home or business is protected and secured at all times. In the event that your alarm system is activated, one of Centra-Larm’s trained operators will contact you immediately. SOS Home Systems offers it all when it comes to security monitoring so you can have the peace of mind that you deserve. At SOS Home Systems, we provide superior products and installation of burglar alarms and monitoring systems in Peabody, MA. We are currently providing a full installation with Cellular backup for $36.95/month. This burglar alarm and monitoring package includes a complete control panel, digital keypad, internet connection to central station, interior siren, battery backup, yard sign, window stickers, one passive infrared motion detector, and cellular backup to the Central Station (avoiding cut telephone lines). SOS also provides video monitoring, enhanced home burglar detection alarms, perimeter sensors, and much more. SOS systems are intended to keep you safe and provide you with peace of mind while you are away from your property. Commercial and home fire alarm systems are integral parts of a full security system for any property. 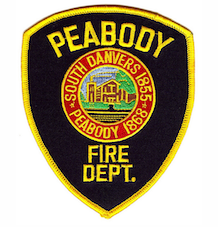 SOS provides fire alarm installations to residents and commercial offices all around Peabody, MA. SOS provides central station monitoring with all installations so that when a smoke or fire alarm is triggered, the central station monitoring service will be contacted and the fire department will be notified and en route to your home. If you are away from your property, your Total Connect system will also notify you of any fire or smoke alarm that has been triggered. In addition to providing exceptional home security & alarm services, SOS also installs commercial security systems and commercial alarm systems for businesses in the Peabody MA area. Your commercial property is likely the key to your livelihood, and SOS understands that safety and security come first and foremost. We ensure the complete functionality of every commercial security installation, and we handle everything from perimeter security systems, to commercial burglar alarms, to motion sensor installation, and even exterior camera recording. SOS has partnered with Centra-Larm, the leader in commercial security monitoring in Massachusetts. Our 24 Hour security monitoring service with Centra-Larm offers you the comfort of knowing that your business is protected and secured even when you’re not there. In the event that your alarm system is activated, one of Centra-Larm’s trained operators will contact you immediately. SOS Home Systems installs unparalleled commercial security monitoring so that you can rest easy knowing your business is safe and secure at all times. Carbon monoxide (CO) is the leading cause of accidental death in the US, as it is an invisible threat, having no smell or taste. The only successful way to monitor carbon monoxide levels in your home is with a carbon monoxide detector (alarm). These alarms should be installed on every floor of the home or building, especially in and around the bedrooms. SOS carbon monoxide alarms come with central station monitoring. This way you will be notified when your carbon monoxide levels reach a hazardous level. Whether it’s your primary home or secondary home, you need to protect it against the freezing temperatures during our cold New England winters. If you plan to leave your home unoccupied for long periods of time, it is paramount to monitor the temperature in order to avoid freezing, broken pipes, ice buildup, and more. SOS provides low temperature sensor and alarm installations in Peabody, MA for homes, vacation properties, office buildings, and more. You will have the ability to set low temperature levels, so that if the inside temperature drops to low an alarm will be activated. Our central station monitoring partners will notify you if the low temperature sensor has been triggered giving you the opportunity to contact a friend, neighbor, contractor, etc. before your pipes freeze. Additionally, if you have a “TUXEDO” Total Connect system you have the ability to adjust temperature levels within your home on your Smartphone, tablet or computer. Are you ready to get started and learn more about a home security solution for your home? Contact SOS Home Systems today to receive a FREE estimate! SOS is the local leader in home and commercial security in Peabody MA.